For Senator Stevens, who is so concerned with the content of the cable channels he subscribes to, I have one thing to offer: If you don't like something on your TV: TURN IT OFF! Most cable boxes come with a remote. USE IT. Turn off "The Shield." Watch "Nick at Night." Unsubscribe to HBO. It ain't cheap. Use the extra money to buy Disney DVDs or "The Best of Sesame Street" and get your misplaced morality out of my TiVo. In another part of town, as of April 15, the Transportation Safety Administration plans to ban all lighters on board all American flights from checked or carry on luggage. Why? "Because if the shoe bomber had a lighter, he would have been successful." I thought that's why we take off our shoes before every flight. 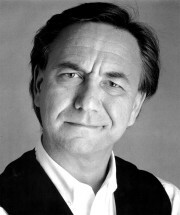 Will Durst is a political comedian who has performed around the world. He is a familiar pundit on television. His two CDs are available at laugh.com. Look for Will's collection of columns "Raging Moderate" in a bookstore near you soon. Distributed by Cagle Cartoons, Inc.